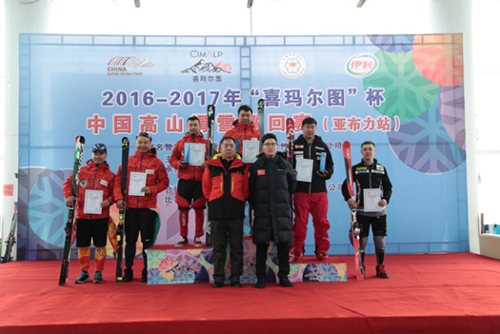 The three-month China Alpine Skiing Tour, the highest level of competitive ski racing in China, finally concluded at the Yabuli Ski Resort, Heilongjiang province on March 12. Yabuli Ski Resort was chosen as the venue for the alpine skiing as the altitude of the venue reaches 1,000 meters, and the lowest point is about 300 meters. Over 500 skiers across China have participated in the Alpine skiing tour since it was launched on Dec 10, 2016. 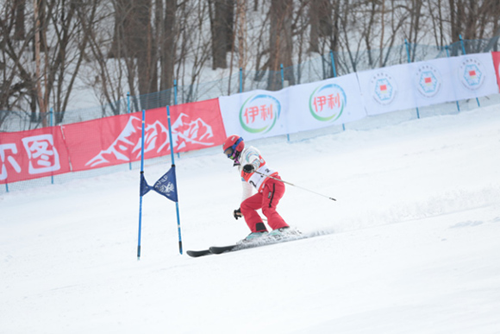 Sponsored by the General Administration of Sports of China and the China Skiing Association, the event is aimed at providing a platform for high-level skiers to display their skiing skills and share experiences; it was also an effort to boost the development of China’s Alpine skiing. Due to factors such as environmental restrictions and the shortage of skiing facilities, Alpine skiing is a niche sport in China and is currently only in its early stages of development, according to Guo Junzhang, a senior consultant at the China Skiing Association. Mass participation in Alpine skiing is one of the priorities to boost development of the ice and snow sector, and the Alpine skiing tour gives the public a good opportunity to participate and learn about the sport, Guo claimed. To better support the development of China’s ice and snow sports, Inner Mongolia Yili Industrial Group Co Ltd, a Chinese dairy giant headquartered in Hohhot, Inner Mongolia autonomous region, signed strategic cooperation agreements with the General Administration of Sports of China in 2015. Based on the agreement, Yili has provided support for China’s ice and snow sports, such as capital, technology, facilities and related services.